A stone cold archaeological mystery. It’s still hot out, but not like the hot spot for mystery that is Tiwanaku. 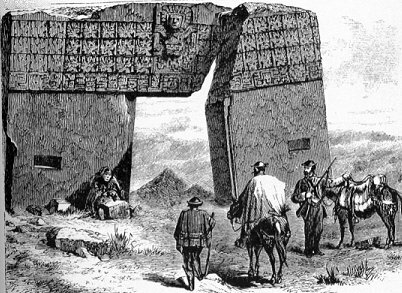 Flora and Stecco travel once again to South America to take a look at some of the best and strangest archaeology the world has to offer. Situated in the Bolivian Andes, Tiwanaku (or Tiahuanaco or any of a host of other spellings) is one of the most compelling and controversial ancient sites to date. Megalithic stones and superior stonework are the calling cards of a civilization which peaked around the 10th century CE, though some scholars have dated the site to be over 15,000 years old. With famous landmarks such as Puma Punku, The Gate of the Sun, and Amaru Muru, Tiwanaku begs so many questions you’ll think you’re playing Jeopardy! Who built it? How? Why? When? The boys of Blurry Photos discuss this and more in this rockin’ episode of the podcast! With music by Kevin MacLeod.